In 1968, after 13 years in industry, Sol left the rat race to become a Professor of Electrical Engineering and Computer Programming at Union County College, Cranford New Jersey. 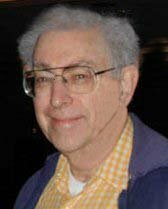 He also taught in the Rutgers University Graduate School of Computer Science in the mid 1970s and was a visiting lecturer on topics related to microcomputer design at several other colleges and universities. He retired in 1993, after 25 years of teaching. Sol built his first primative home digital computer in 1970. In 1973 he built his first microprocessor-based computer. Computer systems have been his hobby ever since. In 1976 Sol co-founded the annual Trenton Computer Festival, the oldest and longest-running Personal Computer show in the world. TCF drew attendees from from across the U.S. and Canada. During the 1970s and 1980s Sol spoke at many computer industry conventions and trade shows . He was a member of the IEEE (Institute of Electrical & Electronic Engineers) Computer Standards Committee which developed the interface standards for microcomputers. He also served as a consultant on microcomputer hardware and software design for several companies during the 1970s and 1980s. He authored many articles in magazines and journals related to electronic and computer design over a thirty year period beginning in 1955. From 1975-1981 he authored a monthly column in Byte magazine, for many years the leading magazine devoted to microcomputer topics. Sol began publishing and editing Microsystems magazine in 1979 and later sold it to Ziff-Davis Publishing, remaining as Editor. The magazine, written for designers of microcomputer-based hardware and software. It had a peak circulation of over 60,000. In 1984, after 28 issues, it ceased publication. At the urging of subscribers Sol restarted the magazine, as Micro/System Journal. The magazine had 22 issues and was published from 1985-1988. To view the covers and contents of all the issue go to Microsystems (1980-1984) and Microsystems Journal (1985-1988) magazines. Sol also authored 16 books. His first book, was published in 1960, was "Repairing Transistor Radios". It was the first book on the subject and was translated in several languages. As Sol interests in digital logic and microcomputer hardware and software design developed, he wrote some of the first books on these subjects. Sol is married to Lennie Libes, and they have a daughter, Susan, and a son, Don.